The Strategic Air Command & Aerospace Museum is a museum focusing on aircraft and nuclear missiles of the United States Air Force. It is located near Ashland, Nebraska, along Interstate 80 southwest of Omaha. The objective of the museum is to preserve and display historic aircraft, missile, and space vehicles and provide educational resources. It is regarded as having one of the top collections of strategic aircraft. 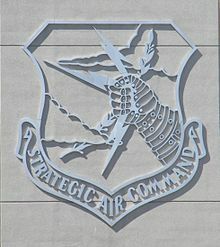 Offutt Air Force Base in eastern Nebraska became the headquarters of the Strategic Air Command in 1948, and continues as the headquarters of U.S. Strategic Command. The museum at Offutt, adjacent to Bellevue, a suburb south of Omaha, began with its first airplane in 1959 as the Strategic Aerospace Museum. General Curtis LeMay's vision of a museum that preserved historic aircraft had become a reality. Over the following years, the outdoor museum's name changed to the Strategic Air Command Museum or SAC Museum. 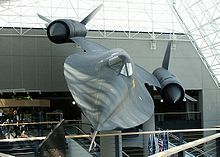 On May 16, 1998, after a $33 million grass roots capital campaign, the museum moved indoors to a location more accessible to the public, between Omaha and Lincoln, that allowed the aircraft to be protected from the elements to which they had previously been exposed. As part of the moving process, two aircraft (a Douglas C-124 Globemaster II and C-133 Cargomaster) were relocated to the Air Mobility Command Museum at Dover Air Force Base, Delaware. On June 15, 2001, the name of the Strategic Air Command (SAC) Museum was officially changed to the Strategic Air & Space Museum. This change incorporated the museum's rich past while attempting to reach a larger audience through dynamic programming and exciting educational programs that seek to captivate the interests and imaginations of everyone. On June 25, 2015, the museum announced another name change to the Strategic Air Command & Aerospace Museum, in an effort to reconnect to the museum's original mission of preserving the history of the Strategic Air Command while promoting interest in aviation and science among the general public. The museum is a $29.5 million, 300,000-square-foot (28,000 m2) building that features a glass atrium, two aircraft display hangars, a traveling exhibit area, a children's interactive gallery, a 200-seat theater, a museum store, an aircraft restoration gallery, and a snack bar. The glass atrium is constructed of 525 glass panels that encase a Lockheed SR-71 Blackbird. The two aircraft display hangars protect the aircraft collection and exhibits from harsh outdoor elements. The museum participates in an exhibit exchange program with other national museums and displays them in the traveling exhibit area. Three large missiles are displayed vertically outdoors in front of the museum. Boeing B-52 Stratofortress (serial no. 52-8711), the first operational aircraft of its type delivered to the Air Force in 1955. North American B-25 Mitchell (serial no. 44-28738), as well as a partial fuselage of another aircraft. Republic F-105D Thunderchief (serial no. 61-0069), mounted on a pedestal several miles northeast of the museum along Interstate 80. Wikimedia Commons has media related to Strategic Air and Space Museum. This page was last edited on 22 May 2018, at 14:31 (UTC).